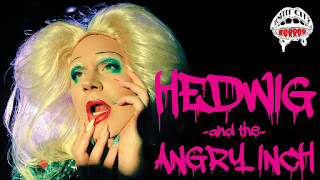 Hedwig and the Angry Inch is one of my favorite musicals. I've seen it several times, and it's always so epic and beautiful and inspiring (you can read all of the many words I've written about it here). I can think of no better way to celebrate my 44th birthday (a day early) than with one of my heroes, who has taught and continues to teach me to be misfit myself, and hold my wig high while doing so. The best part of getting older is being more comfortable in your own skin and caring less and less about what the world thinks of it. And that's what the beautifully flawed human we call Hedwig represents. 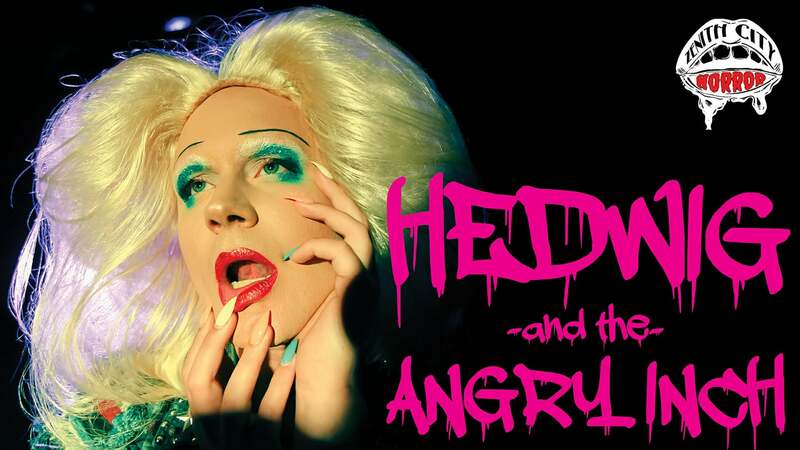 Zenith City Horror has brought their fantastic version of the show from Duluth to Camp Bar in downtown St. Paul, go see it if you need a little more Hedwig in your life (and who doesn't?!). Even though I've seen Hedwig several times, I've never seen it quite like this, which is truer to its original form than the recent Broadway hit. John Cameron Mitchell created the character and along with Stephen Trask (music and lyrics) developed the piece in clubs throughout the '90s, eventually landing Off-Broadway in 1998. Mitchell also adapted, directed, and starred in the 2001 film which catapulted Hedwig into a cultural phenomenon, but she only received her Broadway debut in 2014. The Broadway and touring version (which played at the Ordway earlier this year) was the same show, but bigger in terms of sets, effects, costumes, and audience size. Which was fabulous, but doesn't have the intimacy and raw power of a small bar space like the theater at Camp Bar, which is probably very similar to the original intention. I attended on a Sunday afternoon with a small but enthusiastic audience, and the experience was just as epic and transformative as it's ever been. Duluth-based artist Alec Schroeder has been donning Hedwig's trademark blond wig for three years, making her #TCTheater debut with this engagement. The years of experience are evident in Alec's confidence with the role, as she just becomes Hedwig the moment she steps onstage in super high-heeled boots. Funny and flirtatious, angry and bitter, vulnerable and completely broken open, Alec embodies all that is Hedwig. Tonya Porter is also fabulous as Yitzhak, with beautiful harmonies that add much to the music, and going through a transformation of her own (Alec and Tonya are also co-directors of the show). The four-piece onstage band, directed by Nathan Olson, is also an important part of the show, and sounds great playing this rock musical score. The show is accompanied by video projections of charming cartoon drawings, photos, and video footage. Not as high tech as the Broadway show but just as effective, and much more Hedwig. Hedwig continues her engagement at Camp Bar for two more weekends. Grungier and more raw than previous versions I've seen, but every bit as inspirational. *Plot summary borrowed from what I wrote about the Broadway production.